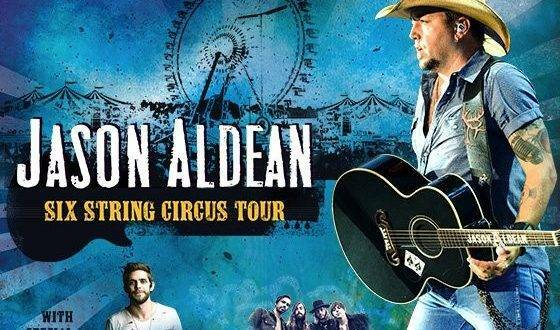 Jason Aldean in concert, Thursday August 18th at Toyota Amphitheatre in Wheatland, CA. Jason Aldean has earned PLATINUM or better totaling more than 10 million album sales and recently launched his SIX STRING CIRCUS TOUR 2016 with openers Thomas Rhett and A Thousand Horses. This year’s “Entertainer of the Year” Jason Aldean “has flipped the switch” with his new single, “Lights Come On” a “hard-charging up-tempo tune”. 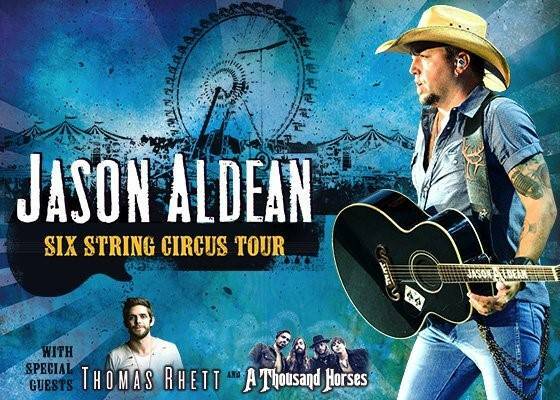 Jason Aldean will return to the road as his, “SIX STRING CIRCUS TOUR” launches May 19th with continued support from Thomas Rhett and A Thousand Horses. Aldean will be the first-ever country artist to take the stage at Boston’s Fenway Park co-headlining with multi-platinum award-winner Kid Rock. This concert should sell out and luxury transportation from Baja Limo will be in high demand, if you don’t already have a reservation call us at 916.638.1400. We have an updated diverse selection of new luxury vehicles perfect for any group size at competitive rates. Call Baja Limo for all of your Sacramento transportation needs or visit our new website www.bajalimo.net.